Let me just begin by saying that I think wasting time is criminal and I am guilty of that offence. I have wasted precious time when I should have focused on my tasks or should have concentrated on better things. It took me a long while to understand that time is a finite commodity but if you work smart you can accomplish so much in that limited time. However, working smart is not easy. I am still trying to work smart. It requires a certain amount of concentration and focus which might be difficult for most to achieve at first. Why you might ask? The answer is ‘attention span’ most of us have limited attention span that affects our ability to concentrate at a particular task. Have you noticed how difficult we find to concentrate on mundane tasks say for example – preparing an office report or studying for a school test? But our attention span is in full mode while browsing through social media or watching a movie. This is because completing a task is an obligation for most of us while surfing the internet and watching a movie or TV provides us with instant gratification and an easy escape. The end result is we procrastinate or delay our work and then curse ourselves for wasting time, while scrambling to meet deadlines. If you can identify with such scenarios, I must say you are not alone. I was in the same place until I realised that I have to find a way to keep distractions at bay. So here are some of the strategies that I deploy each day to use my time efficiently. Did I succeed? Not 100% maybe but to a very large extent I now manage to have an immensely productive day. To get a better grip on your time, organize your thoughts first. It would be a great start to your day and provide you with clear direction. The usual way to do this is create a to-do-list. But what I would suggest is getting a dashboard for home or office then placing it at a space where you can view it directly. Write your thoughts, plans and ideas in a couple of post-it notes and arrange them in the dashboard accordingly. This will provide the brain with a map as to how you would complete your tasks or how you would go about your day. So voila! You now have a plan to utilise your time efficiently. So you have made your to-do chart now examine it closely and reflect on how much you can accomplish realistically throughout the day. There no point in compiling ‘a dozen things to-do list’ and then feeling overwhelmed. Strike out all tasks that are at the low end of your priorities this will relax your mind and help you to concentrate at the tasks at hand. Keep your list small to achieve more. I personally restrict my to-do list to 2 or 3 activities and I find it extremely productive. Did you know that procrastination comes from the fear to face work, especially the ones that seem really tough to us. This leads to a vicious cycle of neglect where we tend to put other tasks also in the backburner. Start with the task that you have been dreading to do and then move on to other tasks. Trust me; this will give your confidence a major high. So this is a highly effective productive exercise. It is actually a personal evaluation of how you spend time every hour. But it can get really uncomfortable for some. So if you are game for it, keep a small notebook and make two columns in one of the pages. One indicates time and the other shows what you did in the past one hour. We all have our burnout rate where our brain just gets too tired to process any information. Like for some their burnout rate is 60 minutes which means they can work without any distractions for full 60 minutes. For others it may be 30 or even as less as 15. So when you have reached your burnout rate you need to hit a reset button. Take a short 2 minute break. A walk around the office or just gazing out of your window can rejuvenate you. Before you start working again close your eyes and take 6 to 7 long deep breaths this will clear your head and help you concentrate again. I find this exercise very productive; it puts my mind at ease and increases my concentration by manifold. If you are a creative person this exercise will be of great help in the innovative process. You gotta respect time. Sadly distractions come in so many forms. Social media apps, checking email and mobile phone every five minutes, a chatty co-worker – all these factors constitute distraction. When you are at work divide your time into 2 zones – one in which you complete your tasks, the other where you attend to your distractions.When you are working or studying, turn off your TV and WiFi. In case, you need the internet use anti-distraction apps like Antisocial, ‘StayFocused’, Leechblock, to block social media sites. Explain your co-workers that you busy and catch up with them during lunch breaks. Have an allotted time during the day where you check and respond to mails or take phone calls. Lastly, don’t get disheartened if you have an unproductive day. Hey, after all we are only human. Acknowledge the shortcomings, give some motivation to yourself and move on. I am yet to master the art of being highly productive. Productivity is essential for success but it cannot be achieved in a single day, it requires focus and patience. Take it slow, complete one task at a time and with little effort, you are bound to see a major difference in your working process. Honestly, with little concentration you can achieve a ton. When you are fully focused on a task, your brain processes the information more quickly which in turn increases your efficiency. A number of times this leads to completion of a task more quickly than you anticipated. This is ‘smart work’ something that I referred to earlier in the post. I hope you find my tips practical enough to apply in your lives also. If you do find the post useful do let me know in the comment section below. Always happy to know your thoughts. Nice post and great tips! I like the idea of a dashboard. Having a visual to-do list is a great idea. I think it’s also important to know when you are productive (My productivity is at its best in the morning from 8am to 1pm and at the end of the day after 5pm). 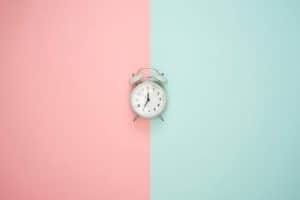 So just like you mentioned above, I always start with the most important tasks on my to-do list (or the longest ones to do) as I know I am more productive in the morning and then when my productivity goes down in the afternoon, I take care of the tasks that are easier or quicker to achieve. Thank you for sharing all your tips!! Being a HUUGEE procrastinator, this was so helpful and motivating to read. Getting distracted by social media and not wanting to do my hardest tasks first is a major issue for me. I’m hoping to soon kill this procrastination. Great read! Haha! we are on the same train then I am still trying to get organised. These are great tips! I am working on getting up earlier so that I have a little bit more time with my day. I struggle with the balance of getting things done since I am a mother of two very young children. There is always something to keep me busy, it is just deciding what to focus on that gets me. I need to make a chart and stick to it! I understand it must be really hectic for you!